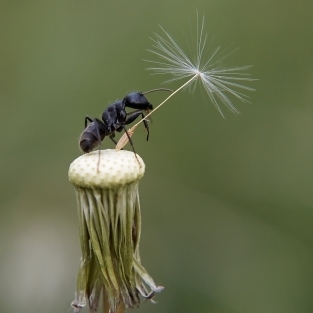 Ants work continuously to share knowledge in order to become more effective as a group. Every ant in the colony takes on the role of master or companion. If an ant has specific knowledge, such as about a food source, he is automatically the master. He conveys this knowledge to the other ants, the companions. Ants make mistakes, but learn from each other how to do better. They are sensitive to nonverbal communication and link it directly to action. A successful HPO manager creates an open culture in which everyone is involved often in important processes, communicates with one another, shares knowledge continuously, learns from mistakes, encourages change and takes action to improve performance.